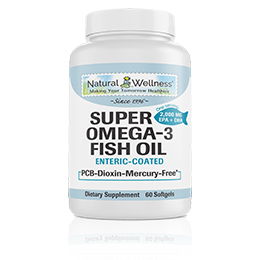 As an antioxidant, ubiquinol CoQ10 seeks out and neutralize free radicals. In addition to its performing the many numerous functions of an antioxidant, it has an additional rare benefit. Unlike most antioxidants, ubiquinol CoQ10 has the ability to regenerate vitamins E & A in your body, allowing your body to truly maximize their benefits. Ubiquinol CoQ10 also complements the work of enzymes within the body and plays an active role in energy production in our cells by helping keep mitochondria healthy. Mitochondria are the "power plants" of our cells that produce energy within our cells that keep us alive. 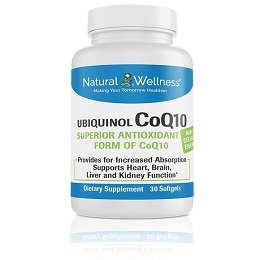 Sub-optimal levels of ubiquinol CoQ10 reduce the body's energy production capacity and weakens the body's immune, liver and antioxidant defenses. Studies have also suggested that CoQ10 can help patients with Congestive Heart Failure by increasing the level of CoQ10 in weakened heart muscles. 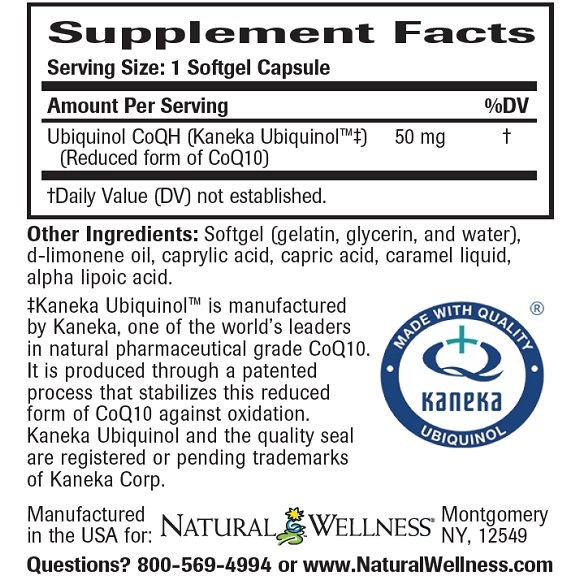 Benefits of ubiquinol CoQ10 also can include increased blood flow and support for overall heart, brain and kidney function. 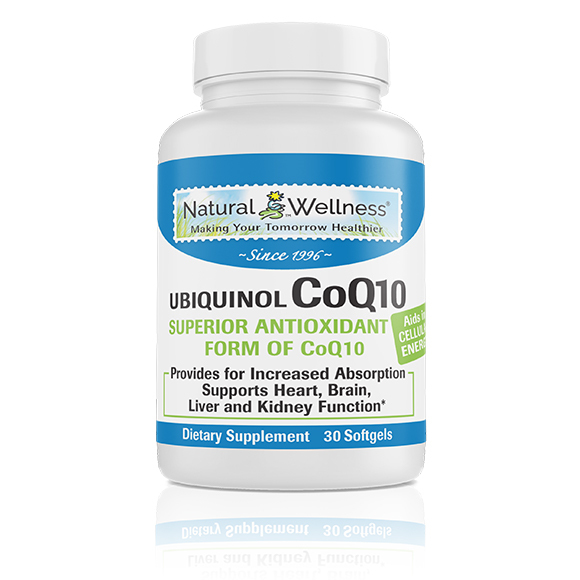 Further studies revealed that CoQ10 levels can be low in people with liver or kidney issues. This may make them more susceptible to damage from free radicals, which can in turn put more stress on their immune systems and wreak havoc on cells throughout their bodies. Age, disease and some medicines may lower the amount of CoQ10 in one's body. 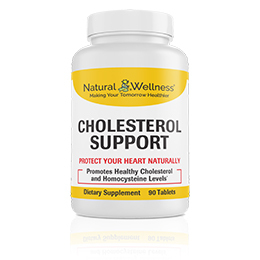 For example, medicines in the statin family (some of the most prescribed medicines for lowering cholesterol) may lower CoQ10 levels by as much as 40% according to studies. Therefore if you are taking a statin, it is highly recommended you take a CoQ10 supplement. Even in young, healthy individuals, there is some evidence that supplementing with CoQ10 may be beneficial. In the supplement market today, there are two versions of CoQ10. 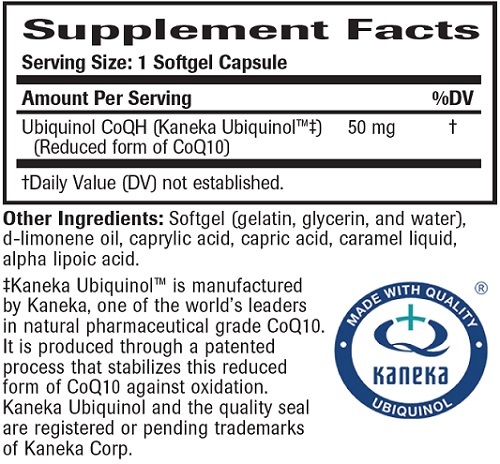 One version is “ubiquinone CoQ10”, or CoQ10 as it is commonly labeled and the second is “ubiquinol CoQ10”. The difference between the two is that the “ubiquinol” supplement is the antioxidant form that is utilized by your body. One reason our ubiquiniol CoQ10 is better for you than regular CoQ10 is for the simple reason of conversion. Even though our bodies naturally produce ubiquinone CoQ10, once produced or taken orally as a supplement, our body immediately begins to convert it into its reduced form - ubiquinol CoQ10. Once converted, into ubiquinol CoQ10, it is then a useful antioxidant that can be utilized by your body. It finds and neutralizes free radicals, performs many additional benefits associated with being an antioxidant and also regenerates vitamins E & A in the body so they can be better utilized. The ubiqunone version does not do any of this. 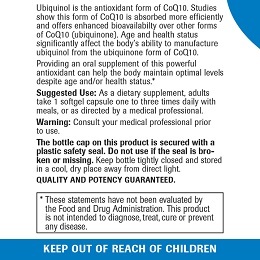 Unfortunately, this conversion from ubiquinone CoQ10 to ubiquinol CoQ10 is not 100% effective. There is a loss in the conversion process. Furthermore, with aging, disease and the use of certain medications, this conversion rate drops even further. In order for you to get the maximum benefit from a CoQ10 supplement, you should take a ubiquinol CoQ10 supplement which provides you with the direct source of ubiquinol that your body requires, bypassing the need for conversion. The second reason Ubiquinol CoQ10 is superior to regular CoQ10 is that it is better absorbed by your body than the ubiquinone form. In general, CoQ10 is poorly absorbed by the body. This means much of what you eat or take as a supplement is not absorbed into your bloodstream and utilized by your body. However, studies have shown that the ubiquinol form of CoQ10 is better absorbed than the ubiquinone version, allowing more CoQ10 to be available to be utilized by your body. Scientists discovered CoQ10 in the 1950s and have been studying its effectiveness ever since. Today its numerous benefits are widely accepted. It was only recently discovered that there were the two forms of CoQ10 (Ubiquinone & Ubiquinol) and that the ubiquinone form of CoQ10 must be converted to ubiquinol in order to be utilized by your body. Then they learned that age, health problems and some medications can make this conversion process especially inefficient. One thing the scientists agree on is that CoQ10 is a supplement that offers tremendous benefit for those who have low levels of ubquinol CoQ10 and may be beneficial to those who have normal levels. The most effective form of CoQ10 - Already in its reduced ubiquinol antioxidant form, so no conversion is necessary in order to be utilized by your body. As a dietary supplement, adults take 1 softgel one to three times daily, or as directed by a medical professional. 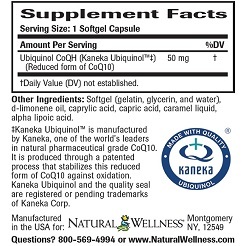 Ubiquinol CoQ10 is MANUFACTURED in the USA to meet FDA strict current Good Manufacturing Practice regulations (cGMP).